So the presentation was a slap in the face. Only two of my newest villagers and one of the Nooklings showed up. This town is wise to my heartless rule. Or maybe they're heartless as well. Last edited by DarkRula on Sun Jun 17, 2018 2:51 pm, edited 1 time in total. As DarkRula said, actual player laid paths should be an option, I've never really liked the animal tracks feature (LGTTC/CF was awful in this regard, New Leaf was much better) so paths would be a very nice addition. Likewise as Yubel posted, a grid based system should be in place for placing houses and the like, if you're the mayor again you should be able to have off limits areas where villagers can't move in and disrupt the flow of your town (or dismantle flower patches as I've had happen a few times). I also can't quite believe is been 5 years since New Leaf came out, should load it up to get my clock! Goddammit Bunnie I am starting to hate you and I'm only playing Puzzle League. Why did you have to be the face of the fifth level? I can't handle it! It's... too much. ... . It's great to see that you're totes excited about Wattam, Orange . The New 2DS XL console (Animal Crossing) launches in UK / Europe on 20 July... and it looks lovely! I have a 3DS console or two plus a copy or two of the game and so I definitely don't need this. But I want it! I now have a coffee shop in my town . I've already visited and enjoyed a drink! And I have collected the Zelda Triforce... it looks awesome! And a spinning asteroid. I'm well back into AC now . Not been keeping up to date with Animal Crossing - are they going to be releasing a Switch version? Only a matter of time before it does come. More games have said to be needing announcements for this autumn and winter, so if it isn't coming this year, then it's probably either summer or autumn next. It's certainly been the longest amount of time between two games. Don't forget the big patch New Leaf got back in 2016. I think that cemented the fact it wouldn't be getting a new installment any time soon. The 20th anniversary will be 2021, so maybe we'll get something then to celebrate that. 2021 is too far. Animal Crossing shouldn't wait for the Switch's third year, let alone it's fourth. Spring 2019 please. It's not like they've done anything for previous anniversaries, but then Nintendo has started paying attention to them lately where before there was hardly anything. Though I still feel the 25th would be a better fit for such a celebration. 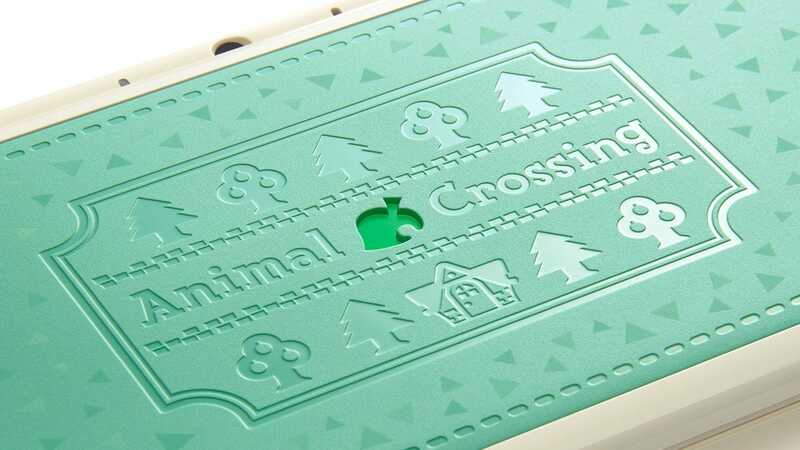 I hope we'll have an Animal Crossing game on the Switch by the latest, spring 2020. Ideally it'll come out next year, it'll have been more or less 6 years since New Leaf came out then and I think it'd be about time for a new entry. I don't condone looking for patterns to see when new games in a series will release, but it's currently sat at 4-3-4 going from original to Wild World to City to New Leaf. It was then in 2015 that people were expecting the WiiU game and instead got two spin-offs. There's a load of people saying 2019 for a Switch game, which would add the next 4 to that pattern. Either 2019 happens, or it doesn't. I'll just be happy to finally see what new things the series has. Though I still want that 1v100 game where every villager needs to quickly find and sell things while Nook uses his powers to drain everyone's bank accounts to happen. Outside of a few series (Pokémon recently for example) I never go looking for patterns, just with New Leaf just turning 5 and still no announcement of a Switch game one does have to wonder/hope 2019 or early 2020 will finally be the year we get something. Like yourself though, I'll just be happy to have a Switch game and see what it brings to the series. Despite the GameCube version being my likely favourite game ever (my top pick for this accolade changes all the time) I have played very little of the other games in the series. I owned a copy of Wild World for a little bit but couldn't get on with it - it was a pale imitation of the original and I didn't see the point when I could just play that instead. Pocket Camp aside, that's all I've actually played of the franchise. That's why I was surprised when I watched this; I didn't realise they'd stripped back so much of the content that gave the game its charm. The lower number of villagers I particular seems criminal if it's true of the Wii version. Some of the things I can understand being missing - like Gracie and her car. It mixes things up a bit between games. But this really does highlight the lack of events and even basic mechanics that have been cut back. I suppose they at least allowed selling multiple things at once in New Leaf - which is kind of more important. I would hope some of the old events get back in with the Switch game. This is the one where they can really push the limit of what an Animal Crossing game is meant to be about - that being a community. As a community, the animal crossing one knows shockingly little about its own game. There are certain aspects which are just completely unknown or the community is massively split on how that aspect of the game works. It kind of makes for a nice change in that the deep mechanics of the game remain a mystery, but still.